The West doesnâ€™t like you anymore Square Enix. Today spells a gloom day for the boys behind the Final Fantasy series. Seems their attempt to reach out to Western gamers with The Last Remnant has done little in the way of olive branch extension, with the title selling a mere 220,000 units since its release last year. According to Siliconera (and corroborated with info from VGChartz.com), the game sales in Japan were even worse, where 360 saturation is notably low, moving only 160,000 units, making the game a relative success with Western audiences. Does this mean it’s back to the drawing board for Square Enix? Well, not quite yet apparently. With a combined worldwide sales for the game totalling just over half of a million units, with 560,000 selling altogether (more than 400k of which were sold in North America and Europe) it aint half bad for a game. Well, that’s what I think. 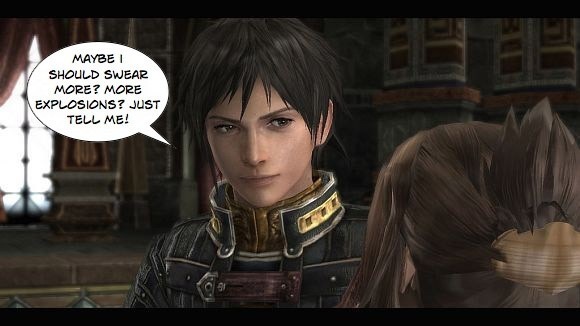 Hopefully the acquisition of Eidos will do more for the Japanese company in the west than The Last Remnant did. Otherwise, bring on FFXIII and make up for your losses guys. It’s that easy. Geez, Square Enix, do I have to spell everything out for you?